StudiowerksDC - Photo, Film/TV Studio. 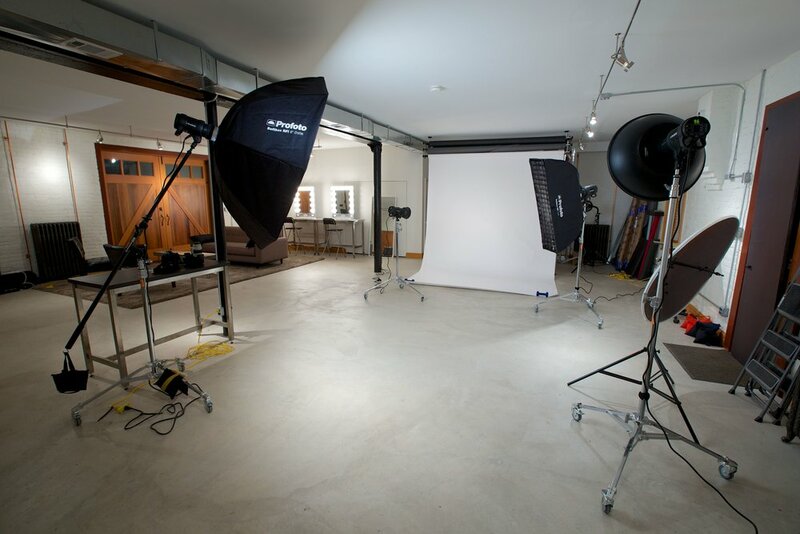 1250 ft.² of studio space on CapitOl Hill with the latest profoto equipment. for film/tv, great acoustics, multiple background options. You subscribe to a monthly package of hours (minimum four months), the bigger the package the cheaper it gets right down to $45 per hour. Our RATES are here. Please read the RULES and the FAQ. No fees, charges or add-on costs, all equipment is included. If you go over your package hours? Just keep shooting and you will be charged at the end of the month for the extra hours at the rate associated with your package. For visiting photographers there is a 3 hour, half and full day rate. Email us to book with the times and date you want! Our RATES are here, have a look at the CALENDAR here for availability. Rates start at $400. Click here for the RATES, and here for the CALENDAR to see availability. Rate includes all props, backdrops and gear in the studio. Our clients include CBS 60 Minutes, The BBC, PBS Frontline, Red Rock Films, Pulse Films and more! Behind the scenes and screen grabs from previous shoots HERE. 415B Walker Ct SE, Washington, D.C.
Google Street view inside the studio! The studio is 1250 ft.². 34' x 37', 10' high ceilings.